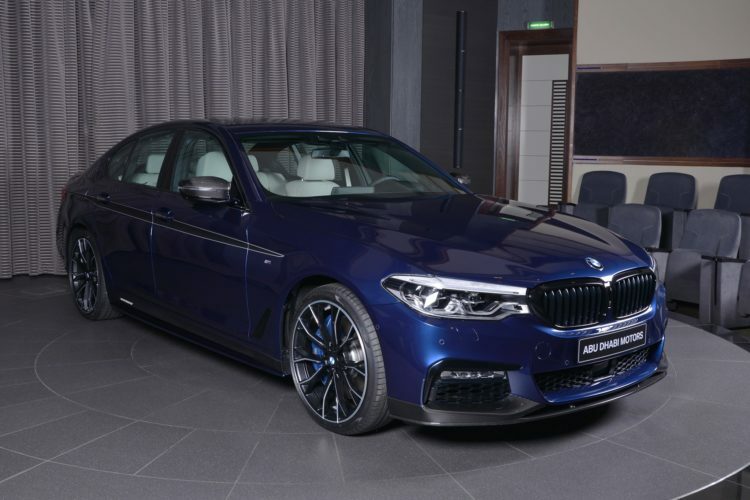 The in-house BMW M Performance tuning program for the new BMW G30 5 Series is already available, but until now we have seen the sporty accessories only on white copies of the upper class sedan. 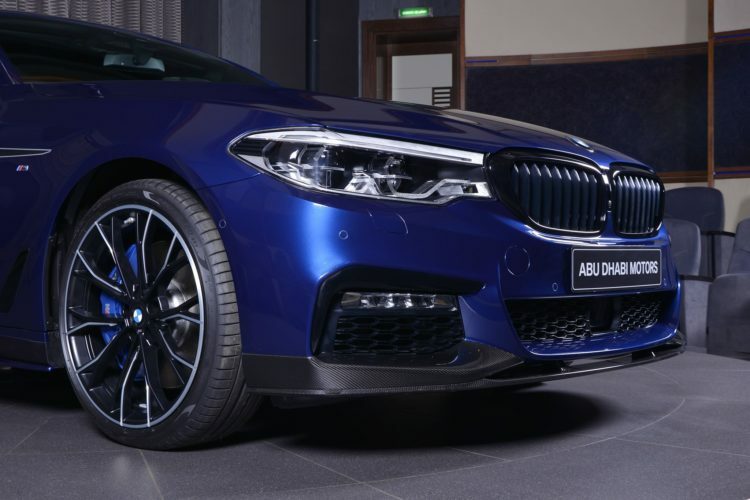 Thanks to BMW Abu Dhabi Motors, this is changing because the Middle Eastern dealership are showing us the first pictures of a BMW G30 5 Series in Mediterranean Blue with M Performance parts tuning. 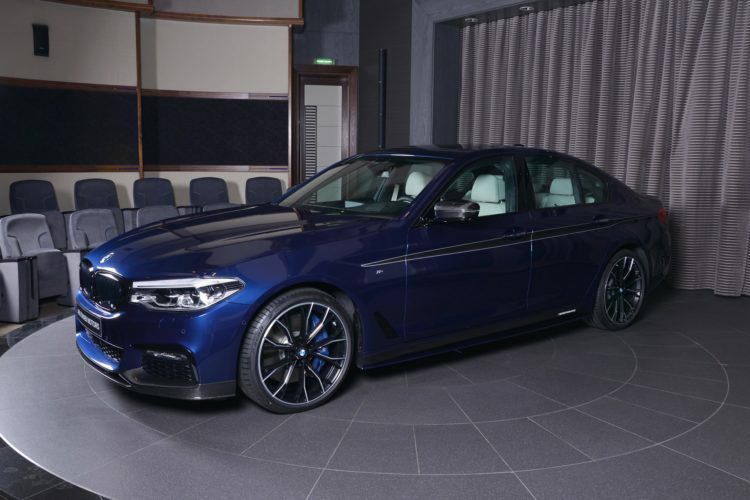 The dark carbon fiber components are less sharply defined here than in combination with lighter outer colors, but the sedan continues to be very elegant and not exaggerated athletic. At the second glance, the black kidneys, the front apron attachment or the exterior mirror caps made of carbon nevertheless provide additional attention. 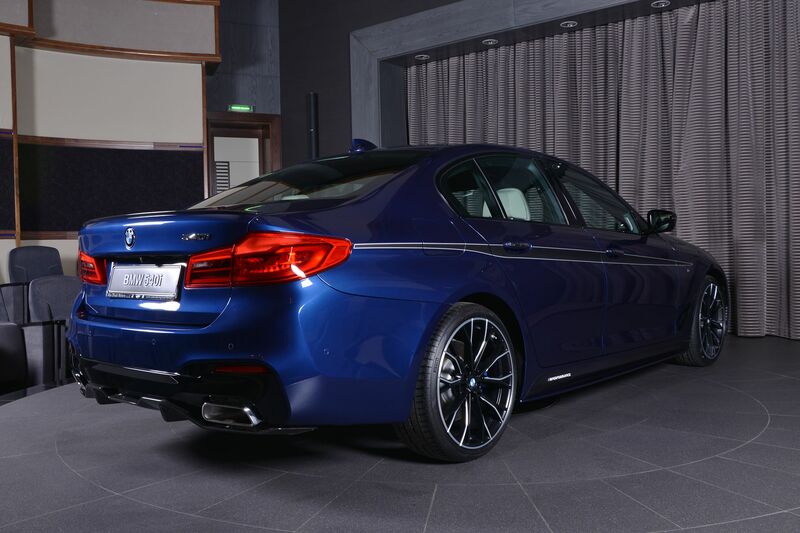 The already dynamic look of the M Sport package is significantly sharpened, the side skirts, the decorative gluing on the side, the diffuser attachment for the rear skirt and, of course, the wheels with a two-color design, play an essential role. 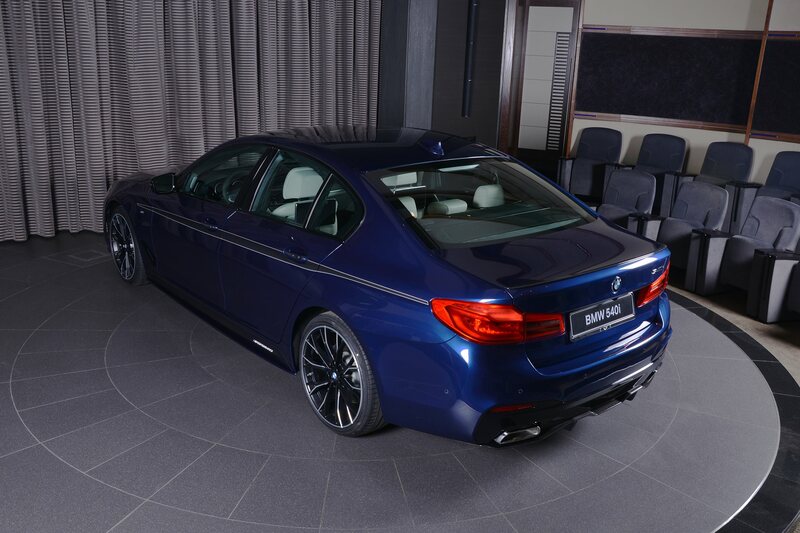 At the rear we see, besides the trapezoidal tailpipes of the 540i and the diffuser made of carbon, a discreet rear spoiler lip, which also consists of the light high-tech material. For the BMW 540i sedan with its 340 hp straight-bore cylinder B58, an M Performance Power Kit is also available for the self-confident performance that boosts the power to 360 hp and boosts the maximum torque to 500 Newton Meter. In addition, there is a specially tuned sports silencer, which underlines the performance increase acoustically. 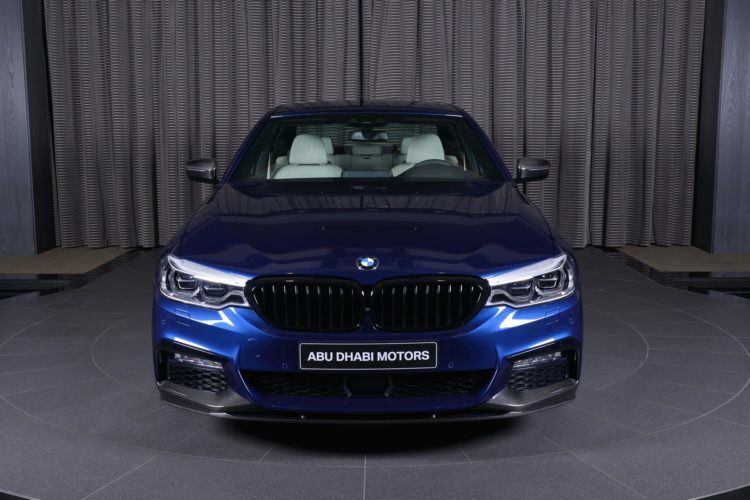 Independent of the engine, a refined sports suspension and a more powerful braking system are offered for all BMW 5 Series models and of course the M Performance G31 5 Series Touring . The latter is aimed above all at customers who regularly move their car in the border area and are hit against the thermal load limits of the standard braking system within a short time as a result of numerous sharp braking.